With Veterans Day fast approaching, we thought we would check out some of the events that are occurring throughout Washington DC and beyond! We discussed the importance of Veterans Day last week and how the landmark day has developed and evolved over the years. With November 11th fast approaching we thought we would take a look at some of the events that are scheduled to take place in our great city and as always, if you need any transport around the city then our hop on, hop off tours can help. We would be happy to help you celebrate Veterans Day in the best way possible! As Veterans Day honors Veterans from all wars, there are actually plenty of events occurring in the city over the next few weeks. There are also some excellent events and tribute in Virginia so we will mention a few of those as well. We always enjoy our monument tour which is extremely popular but there are lots of other things going on in the city so we thought we would list the best ones that we found. World War II Memorial – This will be a wreath laying ceremony on Veterans Day (November 11th) at 9am and will take place on 17th Street located between Independence Avenues and the Constitution. Arlington National Cemetery – This is also a wreath ceremony that will take place in the west end of the Memorial Bridge which is across the Potomac from Washington at 11am. 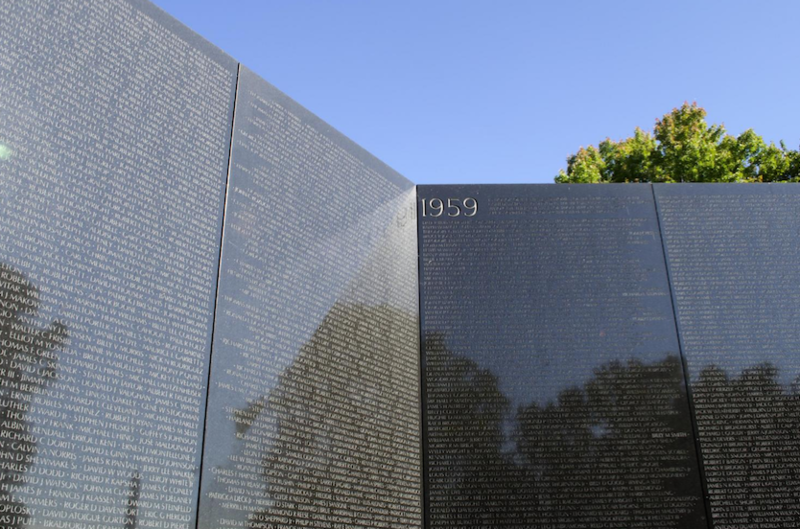 Vietnam Veterans Memorial – This one is on Veterans Day at 1pm on Constitution Avenue and will be a tribute to all who served in the Vietnam War. Navy Memorial – The Naval District that is based in Washington will gather at the Lone Sailor Statue in and lay a wreath in honor of Veterans Day. You will find this on Pennsylvania Avenue. Air Force Memorial – This one will begin at 11am at Air Force Memorial Drive in Arlington and is also 2-minute silence to remember those within the US Army who were killed during war. Mount Vernon Estate & Gardens – This one is in Virginia but still worth checking out in our opinion and there will be loads of activities including a concert at 11am by the all-veteran barbershop chorus and after that, at 2pm there will be a wreath laid at the famous tomb of the one and only George Washington. The concert is free and the wreath-laying is also free for military staff and veterans. National Marine Corps Museum – This one is the day before Veterans Day on the 10th and will take place at 12pm. This is a celebration of the Marine Corps Birthday as well as Veterans Day with a cake cutting ceremony involving a sword. America Memorial for Women in Military Service – This will occur at the National Cemetery in Arlington and is a free event open to members of the public and will honor the women who fight so diligently for our country with a wreath-laying ceremony and other formal military honors.